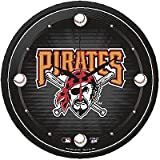 The Pittsburgh Pirates are a professional baseball team (MLB) based in Pittsburgh, Pennsylvania. The Pirates compete in the National League (NL) Central division. 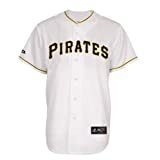 They play their home games at PNC Park; the team previously played at Forbes Field and Three Rivers Stadium, the latter of which was named after its location near the confluence of the Allegheny, Monongahela, and Ohio Rivers. 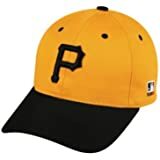 Founded on October 15, 1881 as Allegheny, The franchise joined the NL in its eighth season in 1887 and was competitive from its early years, winning three NL titles from 1901 to 1903, playing in the inaugural World Series in 1903 and winning their first World Series in 1909 behind Honus Wagner. 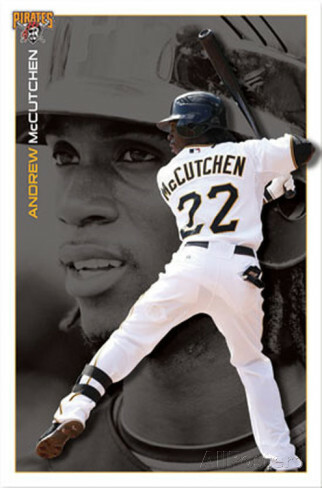 We spotlight Pittsburgh Pirates players of yesterday and today. Here's a link to the complete current roster. 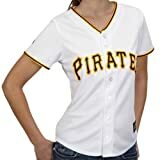 You will find a huge selection of men's and women's Pittsburgh Pirates apparel and other Pittsburgh Pirates merchandise at Ace's Baseball Store.